Looking for something new and fun? 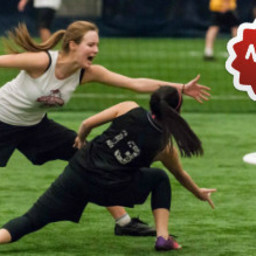 Are you interested in learning more about how to play Ultimate? It is a fast paced game with a strong emphasis on sportsmanship and having a good time. No contact, but plenty of running and jumping. No experience required. ABF International Sports Club offers Ultimate for children in Grades 4-12. Sessions typically run on Wednesday afternoons from 15:00 to 16:15. Details for upcoming season will be posted here in due course. Click here for a description of the sport, the history and the rules. Who knows? Your child could be destined to compete in 2023 World Championships...check out the 2016 World Championship Highlights to see the best teams from across the world.